Michael Parker Hostel Nepal Up and Running! A dream come true. 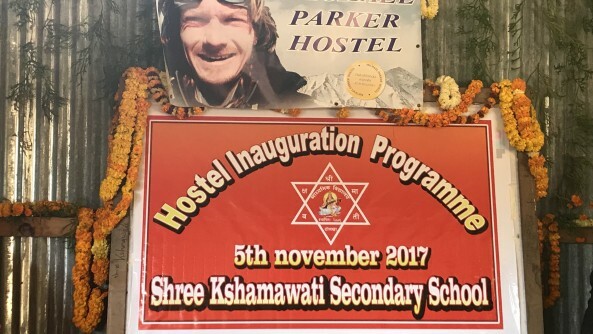 Some two and a half years after a devastating earthquake struck the Suspa Kshamawati area in Nepal, the Michael Parker Foundation is pleased to announce the Michael Parker Hostel is now accommodating the first group of girls in the hostel. It is with sadness that we report the passing of the esteemed Commando Conrad Bell who served with the 2/7th Commando Squadron and was responsible for establishing and perpetuating the links between the WW2 Commando Association and the Australian Commando Association Victoria. Two days before his death Bruce Parker received this letter from in which he generously donated to the Michael Parker Foundation. A wonderful gesture from a great Australian. © 2019 Michael Parker Foundation. Michael Parker Foundation Australia (ABN: 90 463 728 809) is endorsed as a Deductible Gift Recipient. Donations of $2 or more to the Michael Parker Foundation are tax deductible in Australia.